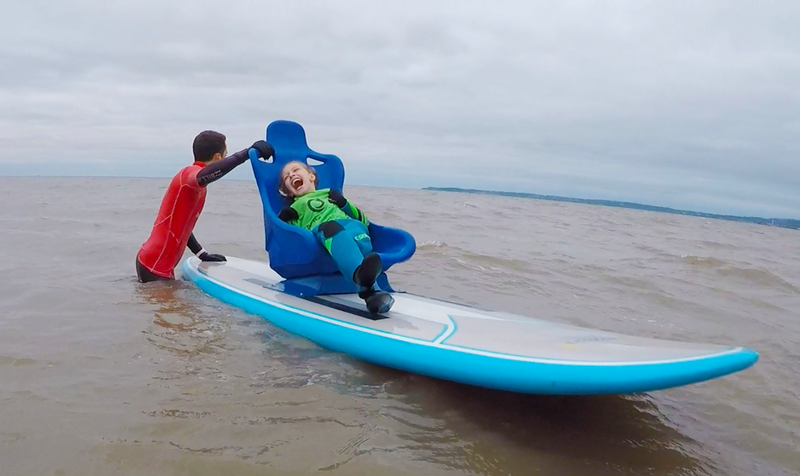 Our Innovation Centre are proud to make products that help disabled children to enjoy and experience life alongside their friends. Sometimes the most simple of things make the biggest difference. Owen’s mum got in touch for some help. Owen loves to join his friends on the swings in the park but sometimes forgets to hold on. 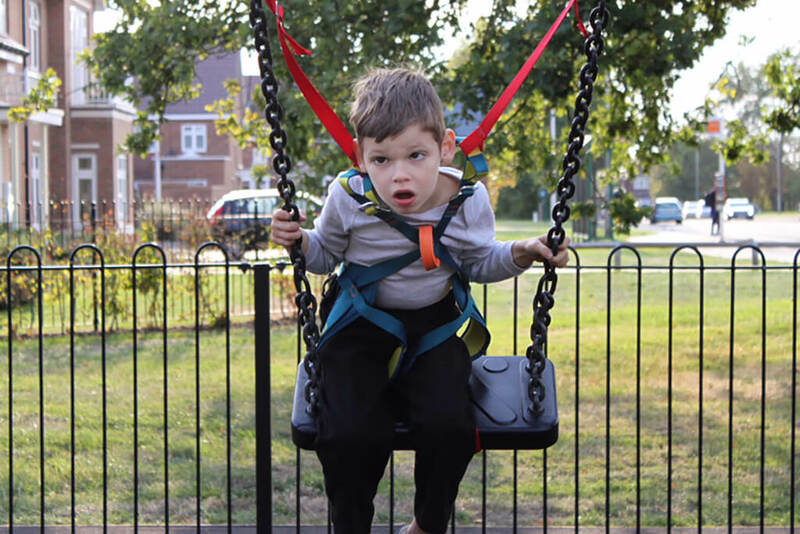 Our team at CIC simply converted a climbing harness to fit Owen and to clip onto the swing’s chains, keeping him safe as he soars. A simple job but one that has made a huge difference to young Owen’s life. If we can help you with an everyday problem, however big or small, we’d love to hear from you. You can contact us on [email protected]. Our librarian Jan reviews two new books you can borrow from our postal lending library. What happens when a man you’re sure you’ve never met before picks you up from your school trip and says you mum has gone to heaven and you have to go to a new school? Well if your mum has taught you The Survival Game, you are good at maths and love computer games surely things will work out OK. Told by 8 year old Pepper who has his own way of looking at the world. Can he work out how to find his mum and older brother and sister? He may love helping out with the chickens and the teachers at his new school but does he really believe his mum is in heaven? There are things he knows and he knows that his mum is not dead. An intense read that keeps you in suspense right up to the end. This is a very special book written by a 12 year old boy who is unable to talk or write, he has spelt out letter by letter using a spelling board. You can watch him doing it on his blog. In the book you really get a sense of Jonathon’s love for life. He tells us about the inner world he inhabited before he was able to communicate and how it felt to finally be able to interact with his family and the world around him. He writes with joy about his sisters and his friend at the special school, Will. Jonathon tells us about the long process of learning to use the spelling board and how frustrating he finds eye-gaze technology. He has won several awards including a ‘Diana Legacy Ward’ presented to him by Princes William and Harry and tells us about his experience of that night. And he writes about ‘Teach Us Too’, the charity he fronts that aims to promote the teaching of literacy to all children, regardless of their disability. We are sure to hear more from this remarkable young man in the years to come. To borrow both either these books from our library contact Jan on [email protected] or 01267 244203. My name is Emma and I am married to Michael – it is our 23rd wedding anniversary today – and together we take care of Joshua, our 17 year old son. Joshua was born on 5 march 2001, after being induced as he was two weeks overdue. It was a very speedy delivery, which I do not remember too much about, but he began fitting as soon as he was delivered and so he was taken away to an incubator immediately. Later that same day, when he continued to fit and required oxygen to breathe, we were both transferred in separate ambulances to the Special Care baby unit across the city. We stayed up all night watching him and jiggling him as we had been shown, when he forgot to breathe. On our 4th day in SCBU, Joshua had a MRI Scan and we were told that he had ‘devastating brain damage’ due to a stroke, and that he may not see, hear, walk or talk. This was unbelievable news to absorb and it took another week in SCBU to adjust and to get to know how to care for him properly. When he was 11 days old we brought him home and we tried to do what we had been told, to treat him like a normal baby. We had no other children so that was all that we could do and Joshua thrived. He grew from being a very thin, newborn to a chubby, smiling one year old. We had regular health visitor attention and Joshua received Portage input too. With the help of splints, Joshua walked and he talked, he would say “hiya” to everyone when out shopping. So I was able to fool myself into believing that, he may be a bit slower than his peers, but that he would achieve all of his milestones. It was only when Joshua started at Nursery school, when he was at aged 3 or 4, that I suddenly saw that my bouncing boy was not the same as his friends, and it came as quite a shock. At 4 years old, epilepsy became a real issue and we had to start on anti-epileptic drugs. Joshua progressed with his peers to mainstream primary school and thanks to his brilliant Nursery head teacher, he had a statement which meant that he had a full time teaching assistant to support him there. He loved the first couple of years in reception classes, when he would sing at himself in a mirror – he did a great rendition of ‘Magic Moments’ and ‘Close to you’. But as everyone got older, he was spending more and more time alone with his TA in a small room playing with toys while his peers were learning maths and history. So we made the difficult decision to apply for a Special School place for him. When he was 7 years old, Joshua left his ‘friends’ behind and changed to a special school. His first was not a great success as it coincided with his epilepsy getting much worse and the school was simply not equipped to deal with the aftermath of seizures, so he was forever being sent home or sent to A&E in an ambulance. In 2011, when Joshua was ten years old, we went to a tribunal to move him to another Special school, which had school nurses on site. Joshua is still at that school now, in their 6th form, and it suits him very well. When you find the right placement for your child, it is a very comforting feeling, as though he has gone ‘home’. I like the school so much that I have become a school governor and volunteer there a lot. I have a mission to support other parents and to encourage them to socialise more, so I run a monthly coffee morning for parents when we enjoy cake and chat. I have also just begun to organise termly mental health sessions for parents and carers, as it is still a taboo subject and yet a very real problem among our community of parents. However the end is well in sight. Joshua will have to leave this school when he is 19 years old, in July 2020 and so we will soon begin the ‘transition’ process. I detest transition as in my experience, it involves changing from a comfortable, familiar environment to one that is unknown and frightening. I begged Joshua’s nursery head teacher to keep him there until he was 16. She refused, on the grounds that he would be too big for the furniture! I have stopped begging now. I realise that time moves on and that Joshua will have to too, but it does not mean that I have to like it. I have made great progress in the last year as I am no longer an ostrich about it and that is largely due to our Adult social worker who has given me more confidence and keeps us on track. We are currently in the process of looking around alternative respite provisions, as where he currently goes once a month for a weekend’s short break, will no longer be able to keep him once he turns 18 next March. Once that is resolved, we can turn our attention to his day care provision. We are going to lose the epilepsy nurse who has supported us for the last 13 years, as we are transferred into adult healthcare. It is all change, so turning 18 for Joshua is not like the momentous milestone that it is for his peers: it will not be about legally drinking alcohol and going to university for Joshua, it will be about transition to adult services and starting again, just as we were on an even keel with his health and social care. You can read more from Emma on her blog Ups and Downs Mum. Emma will be writing some articles for us so if there are any topics you’d like her to write about let us know in the comments. The special educational needs (SEN) reforms in Wales are now a little under a year away from their introduction. The Additional Learning Needs (ALN) and Educational Tribunal Act was passed in January of this year and will begin to be rolled out from the start of the new school year in September 2019. There will be some significant changes. 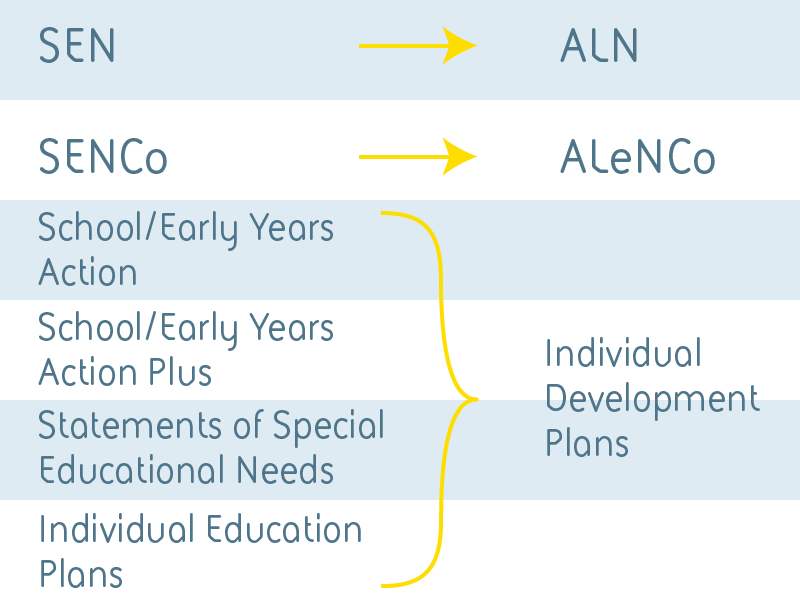 For instance, as the name of the act suggests, the term ‘special educational needs (SEN)’ will be replaced by ‘additional learning needs (ALN)’. This in turn means the SENCOs will be known as ALeNCOs. School/Early Years Action, School/Early Years Action Plus and statements will disappear and every child with recognised ALN will eventually be issued with a new statutory document called an Individual Development Plan (IDP). This is not to be confused with individual education plans (IEP) which will also be phased out. Unlike statements, which stop when a young person leaves school, IDPs will continue up to 25 years of age if the young person goes onto further education. The Welsh Government has produced an overview of the new system and has compiled answers to some frequently asked questions: together they will give you a good idea of how the Welsh Government expect things to work. As the transition to the new system will involve major changes for local authorities, schools and further education colleges it will be introduced gradually and the Welsh Government has produced guidance explaining the timescales involved. The Welsh Government is also drafting a new code of practice which will be issued for consultation before the end of the year. This is likely to be a rather long document and apparently there won’t be an easy-read version. 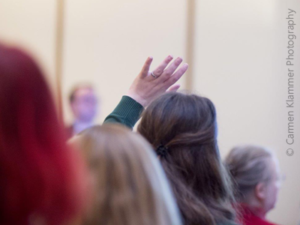 However, it is very important as it sets out in detail how the ALN system will work in practice and the Welsh Government would like feedback from parents and carers as well as professionals so we will let you know when it is issued. In the meantime, SNAP Cymru are running some ALN reform awareness sessions for parents and carers in Mid and South-West Wales in November and December. We are launching a new project to help families of children with brain conditions access timely and appropriate mental health services. 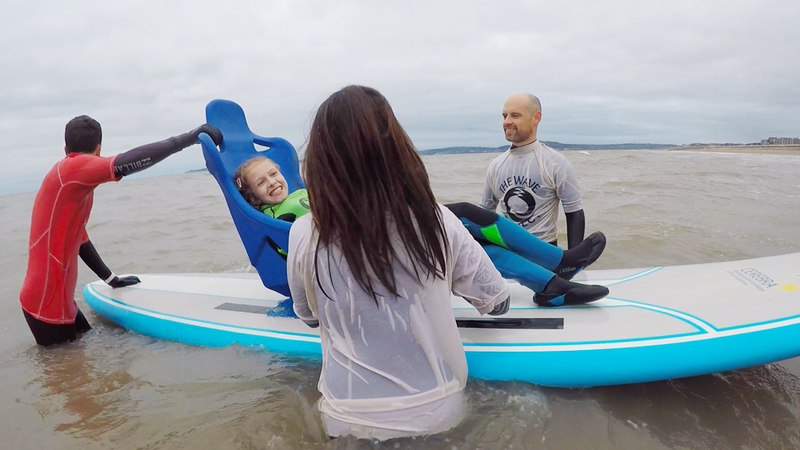 It’s aimed at families of children with rare developmental brain disorders, with a genetic cause, that carry a high risk of them developing conditions such as ADHD, autism, or schizophrenia. We are working with The Institute of Psychological Medicine and Clinical Neurosciences (IPMCN) at Cardiff University on the project. The project will use the expertise developed at Cardiff to inform parents of the risk factors, challenges and behaviours their child may experience and give them the knowledge they need to seek early support. The project also aims to encourage genetic and mental health services to work together for the benefit of children and families. As genetic testing becomes even more effective, cheaper and informative the numbers of children receiving a genetic diagnoses will increase. Over the last 10 years Cardiff University has built one of the largest and most detailed studies of individuals with these rare brain conditions. They have gained major insights into their development and the early indications that individual children might be autistic, have ADHD, or develop schizophrenia. The earlier we can intervene to support the child and their family the better the long term outcomes are likely to be. We want to ensure that we have the evidence based information to pass onto parents in a way they can understand and use to make informed choices about what is best for their child and their family and to access timely and appropriate mental health services. At the same time we will work with clinicians so that they understand that these children face greater risks and challenges and should be able to access services at the earliest opportunity. develop new treatments based on an individual’s biology and more precise diagnosis. provide better information on anticipating and preventing serious mental and physical health impacts. help parents, doctors, educationalists and wider society to better understand the underlying causes and consequences of developmental brain disorders, confronting some of the stigma and discrimination children and their families continually face. Identify other voluntary organisations with overlapping interests and involve them in the stakeholder advisory panel. Develop strong partnerships with small condition specific support groups developing cooperative approaches to sharing and developing information resources. Use our current skills, capabilities and family contacts to develop high quality accessible multimedia resources for families. Work collaboratively with service providers to develop and test a model way of working to achieve improved health and education outcomes for children. An approach that can be shared and developed across authorities. Contribute to teaching and training at the University Medical School, ensuring future generations of clinicians are better equipped to deliver services to help children with intellectual and developmental disorders in harmony with the wishes of their families. We are currently recruiting a coordinator for this work who will hopefully start in January 2019. In the first instance our work will be focused in Wales, but will be rolled out across the UK as the project develops. Two thirds of the cost of this ground-breaking and very exciting new project is being met by the Welsh Government and Innovate UK with the balance needing to be raised through the generosity of our amazing supporters. Our contribution to this project, which will have far-reaching effects, is just under £2,000 per month for the next three years. If you would like to be a part of something amazing and help make a real and lasting difference to the lives of children with brain conditions and their families then please make a donation towards the costs – your contribution, no matter how small, will help others. You can donate online or call us on 01267 244206.